Claire has been with us for over 4 years. 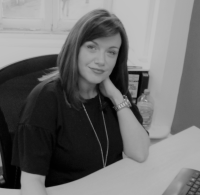 Claire’s role involves all day to day Lettings duties as well as Landlord appraisals, office finance duties, general office IT, Check ins and Check outs, Inventories, Marketing, Inspections and of course, ensuring our high standard in customer service is maintained. Claire’s background is in Office Management with many years’ experience in this role. Originally from Glasgow, Claire moved to the area 7 years ago when she met her husband, David. They have two young children who take up most of their free time! Newton Fallowell Sleaford is a Franchise owned and operated under license by Folderway Limited trading as Newton Fallowell, Registered in England Number: 04892711 Registered Office: 4 Southgate, Sleaford, Lincolnshire, NG34 7RZ. Folderway Limited is a Franchisee of Newton Fallowell Limited and not a subsidiary or sister company.